I just knew that rat would see his shadow this morning. 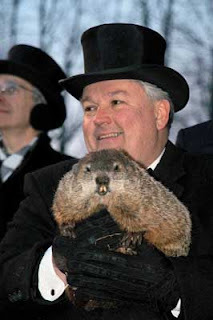 stupid groundhog. winter needs to go away! I never did like him. Or his lottery commercials. I knew it too…I want spring now…not later. that Phil!not that it really makes a difference living here in Cali,all we get is an occassional rain! He has been wrong…let's hope.